This is not our first time to be honored with a Good Design award. The original Cascadia received the award in 2007 and eight years later, the Freightliner Inspiration Truck was also recognized for design excellence. Good design doesn’t happen overnight. Creative cooperation and shared vision are essential ingredients for creating an automotive masterpiece like the new Cascadia. 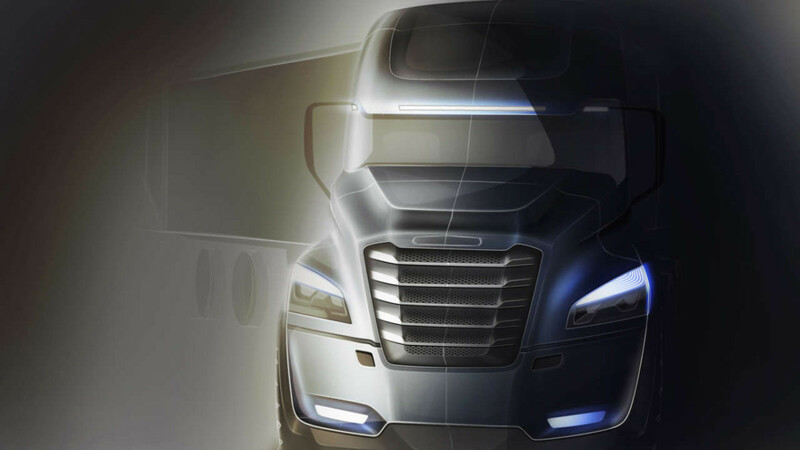 When it comes to designing a new truck model, a highly specialized design team is a must. What’s unique about automotive design, and commercial vehicle design in particular, is that form necessarily follows function. Every contour serves a purpose because at the end of the day, we’re designing a business tool. Our industry-leading team of designers start by creating future concept sketches of different ideas. Once a favored theme is chosen and approved, the modeling process begins. The team will first work in 40 percent scale to get the basic proportions and theme of the design established. A full-size model is then created to finalize the surface treatment and detail execution. Three-D CAD models from scans are developed in parallel with the physical model to keep a digital record of the progress. Materials including steel, plywood, foam and clay are used to construct the physical mockups for the project. Models can take up to a full year to create and develop before the design is complete. The intricate design process and demanding test procedures to produce a truck can take from three to five years before the truck is ready for the road and worthy of its Freightliner nameplate. When we first started thinking about the interior design of the new Cascadia, we turned our attention to increasing comfort for the driver. It was important to remember that for the drivers, the new Cascadia is their home for many nights out of the year. We approach our interiors from an architectural perspective, and spend a lot of time on the quality as well as fit and finish, because ambiance is important. We designed an optimized dashboard, a variety of seat configurations (so drivers can completely customize their living area) and an updated cab with wrap around cabinets to create a look and feel that’s more like a living room. The iconic FLD model, with its classic curves and proportions, was a huge inspiration for the new Cascadia’s exterior design. As DTNA’s first aerodynamic truck, it was revolutionary in the industry, and it was only natural that we use it as a foundation to build upon. It’s a privilege to be able to design for a brand with a history dating back 75 years. There’s so much to be inspired by.